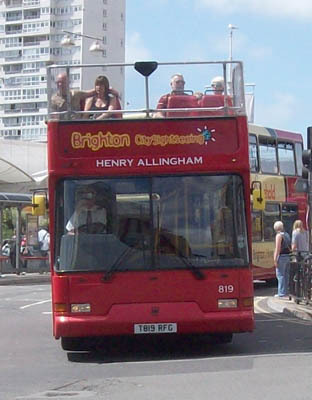 Connections with Brighton and Hove : Henry was Europe’s oldest living man in 2009 at the amazing age of 113. 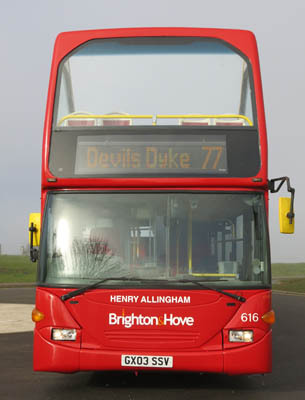 He lived in St Dunstan’s, Ovingdean and was exceptionally been honoured with a Bus Name while still alive, due to his record breaking longevity and in recognition of his distinguished service. Henry was a veteran of the First World War and worked to educate children about the War and in honour of his fellow servicemen. 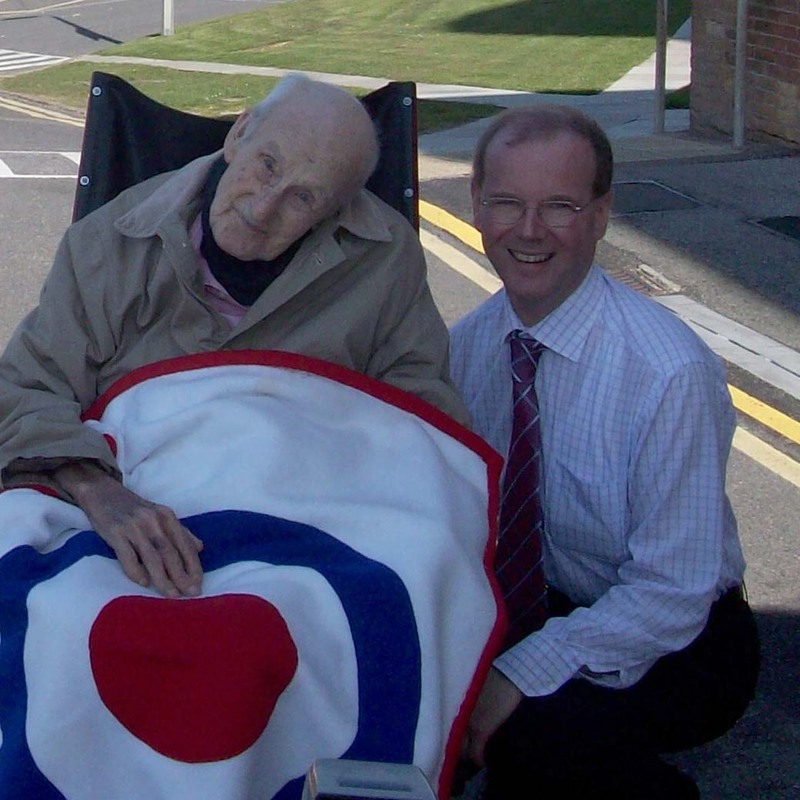 He was the last surviving founder member of the RAF and his life has spanned three centuries and six monarchs. He was born in East London in 1896. After leaving school he got a job as a trainee surgical instrument maker at St Bart’s Hospital in London but soon left for a coach-building firm. When war broke out in 1914, Henry was dissuaded from joining up by his mother. He stayed at home to look after her until her death and in 1915 enlisted with the Royal Naval Air Service as an air mechanic. A year later he joined the trawler, HMT Kingfisher, which was involved in the Battle of Jutland, the largest naval battle of the First World War, fought in the North Sea in the summer of 1916. He was eventually posted to Dunkirk to repair and recover aircraft and remained there until the end of the war. His unit sustained repeated attacks from land, air and sea. After returning to England and being discharged from the services, Henry got married to Dorothy in Chingford, Essex in 1919 and they had two daughters, Bety and Jean. Henry had outlived both of them. During the Second World War, Henry was in a reserved occupation so he was not allowed to join military service. Instead he was involved in counter-measures such as neutralising mines around Harwich in 1939. 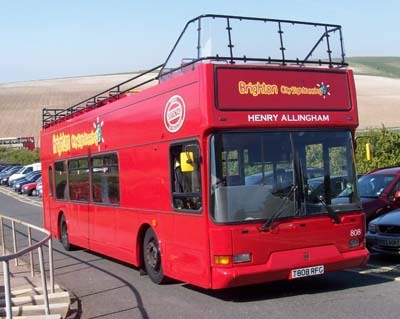 In 1963 Henry moved to Eastbourne with his wife but she sadly died in 1972 after 53 years of marriage. Henry had six grandchildren, 12 great-grandchildren, 13 great-great grandchildren and one great-great-great grandchild. 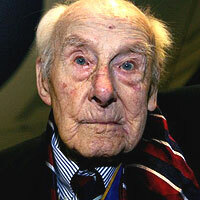 Sadly Henry died on 18 July 2009 aged 113. 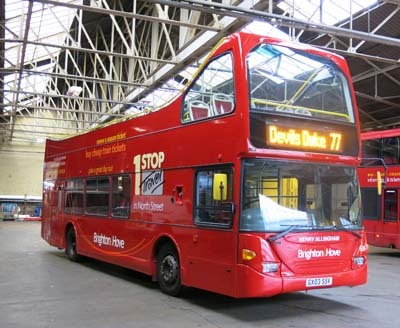 808 Dennis Trident - in red citysightseeing livery, name added in March 2009. 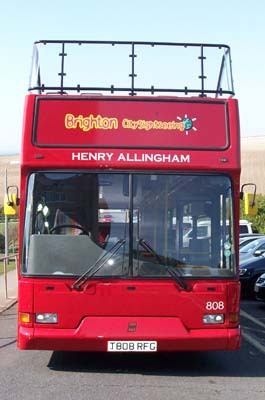 Henry Allingham moved to bus 819 July 2009. 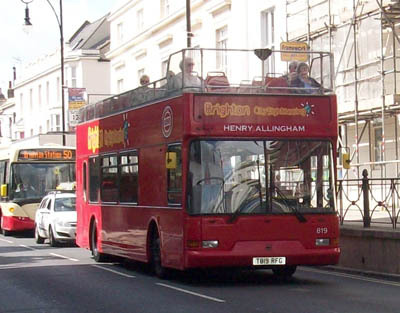 819 withdrawn and name moved to 616 January 2015.